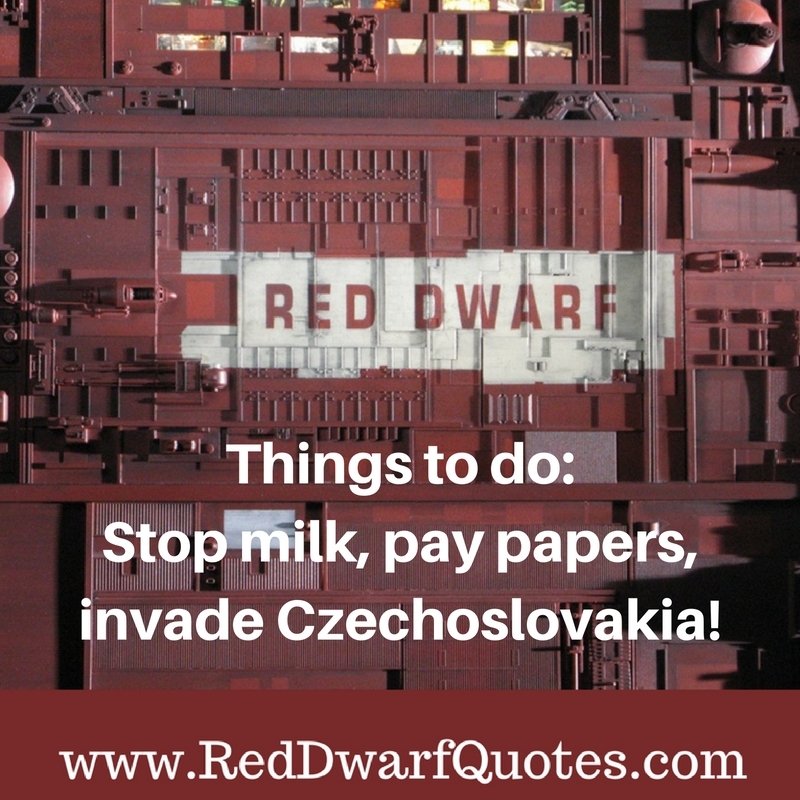 Things to do: Stop milk, pay papers, invade Czechoslovakia! 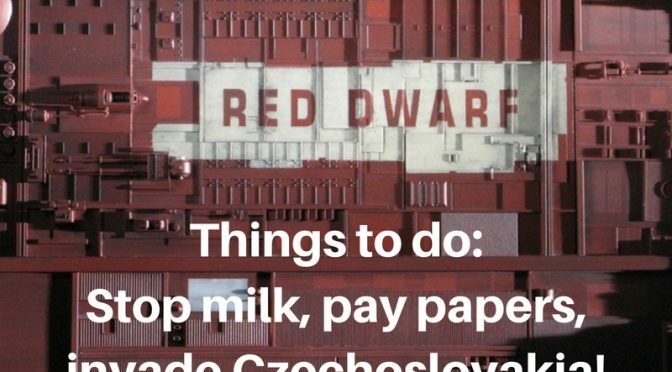 Things to do: Stop milk, pay papers, invade Czechoslovakia! Classic Red Dwarf quote – but which episode was it?